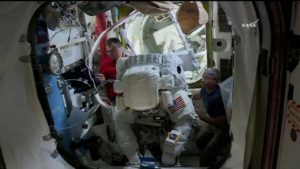 Two NASA astronauts switched their spacesuits to battery power this morning at 7:47 a.m. EDT aboard the International Space Station to begin a spacewalk planned to last about 6.5 hours. 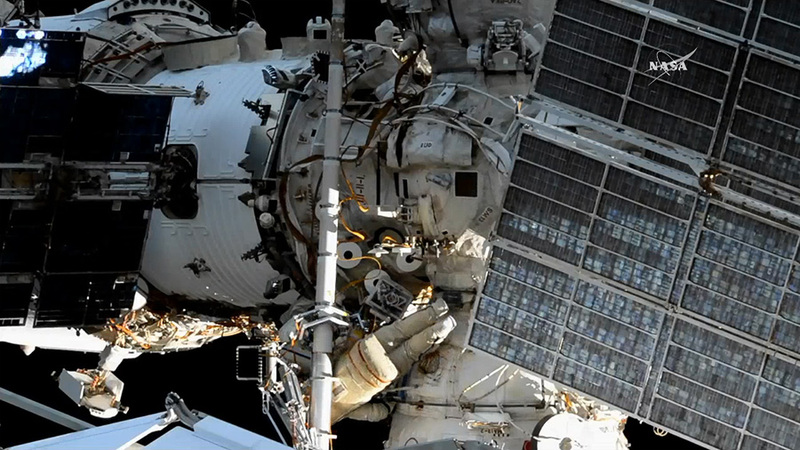 Live coverage is available on NASA Television and the agency’s website. Expedition 53 Commander Randy Bresnik and Flight Engineer Joe Acaba of NASA will replace a camera light assembly on the Canadarm2 latching end effectors (LEE) that spacewalkers installed on the Canadarm2 robotic Oct. 5. 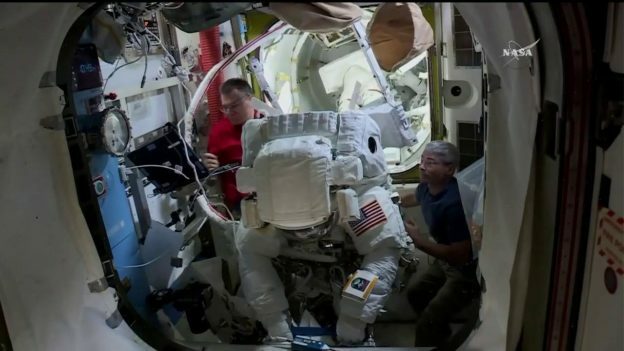 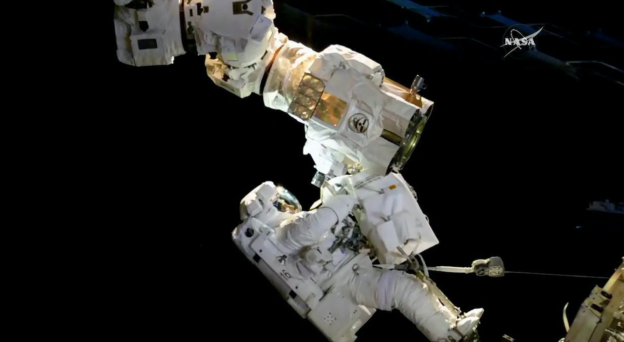 They will also install an HD camera outside the station among other tasks in the 205th spacewalk in support of assembly and maintenance in station history. Bresnik is wearing the suit with red stripes, and helmet camera #18. 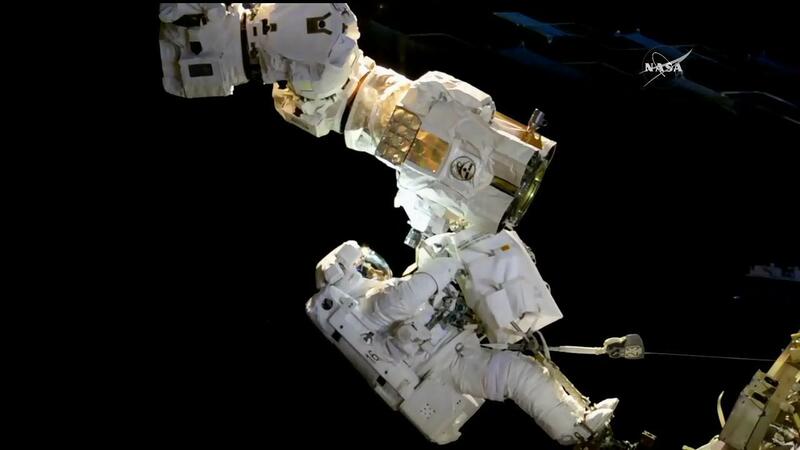 Acaba is wearing the suit with no stripes, and helmet camera #17.